It’s time for one of my favorite – and one of my most criticized – columns of the year. This is the week I reveal my choices for National Women’s Soccer League Best XI and award winners. Keep in mind this is just how one person sees it, and that not voting for someone does not automatically equate to a criticism. Please comment here or find me on Twitter @TheDanLauletta to share your disagreements. If you’re polite about it, I’ll probably even respond. On with the picks, starting with the Best XI. Williams has been the steady presence at the deepest layer on the Reign defense that more often than not this season was spectacular. An excellent shot-stopper when necessary, Williams is also a tactically sound keeper who often gets herself in the right position such that her play rarely looks helter-skelter. 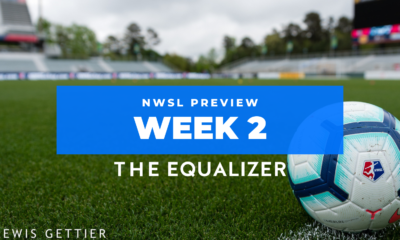 The NWSL goalkeeper pool remains deep, but is less top-heavy than ever, and Williams was consistently better than her peers throughout this season. That’s a pretty good return for a player who was acquired as an emergency upgrade with only a few games to play in 2017. Among the many incredible things accomplished by this year’s Courage team was allowing only 17 goals over 24 games. The centerpiece of that defensive effort was Erceg, known around her teammates as Kiwi. Erceg played every minute of the season and was more often than not in the correct position to make the proper play. She’s also a threat in the attack, especially on the end of set pieces. Sauerbrunn missed the start of the year with the national team due to a stress reaction in her foot. Whether or not that recharged her batteries a bit, we’ll never know, but Sauerbrunn returned to her otherworldly self for the Royals this season, leading a back line that was never settled at outside back and which played almost every minute of the season under pressure with the attack sputtering. Hinkle was the best outside back in the NWSL this season, and it was not particularly close. A superb individual defender, Hinkle also gets up the flank quickly and effectively. When she gets there, few players, if any, are as capable at delivering strong crosses under pressure. She also has a dynamite long ball which can be used in the run of play or on set pieces. Laying out a Best XI comes with the decision about whether to select the four best defenders or lay out a true, right-to-left back line. Since I use the latter, it’s Gilliland as the best right back in NWSL who gets the nod over Megan Oyster. At her best, Gilliland is an excellent two-way outside back who has started to make more out of her runs into the attacking areas of the park. Horan came of age this season, developing into the best two-way midfielder in the NWSL. As her coach Mark Parsons said recently, sometimes her role gets confused as a deep-lying destroyer or as a striker. In reality, she sits in the middle of the park, but her prowess all over is what gets folks confused. She is also the most difficult player to mark inside the 18-yard box in the entire NWSL. 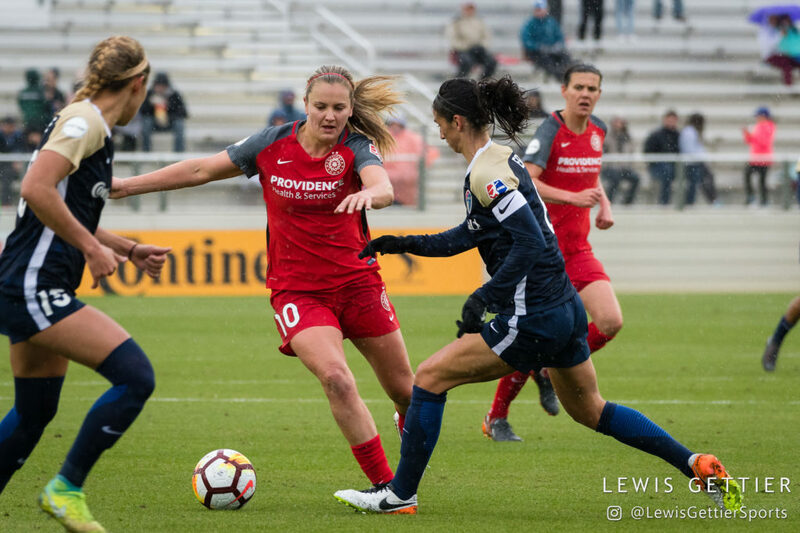 American’s hardest working midfielder was again the engine that powered the North Carolina Courage on their way to a second consecutive Shield. Zerboni is rarely flashy, but she is always in the mix of what is happening on the field. Zerboni’s tireless work rate and ball-winning skills are the key to the Courage’s pressing mentality, and she’s not bad with the ball at her feet, either. Dunn’s return to NWSL was replete with her customary job of filling several different roles, but she was too good to leave off. Her speed, tenacity, and willingness to defend anywhere on the field – not to mention score goals and assist on them – put her right back in the MVP discussion she dominated three years ago. She has formed quite a partnership with the Twin Towers front line of Lynn Williams and Jess McDonald and it is Dunn orchestrating underneath that has made that group so effective this season. Not many players can follow up an all-world season with one that may have been better, but after a slow start due to missing time for the Asian Cup, and then some inconsistency in the final third, Kerr went on another tear and nearly tied the single-season goals mark she set less than a year ago. A stronger supporting cast has turned her into a better player. Healthy again after nearly two years of fits and starts, Heath is again showing the world why she is the most unique player in the U.S. pool. Where Horan barrels her way through the opposition, Heath darts and dances. Her ability to take on players and shoot, combined with precise passing, makes her just about impossible to defend when she gets the ball at her feet in the final third. After two seasons as a high-promise, inconsistent player, Daly finally broke through to become a weekly part of the Dash attack and someone who must be accounted for every match, every time down the field. And it’s easy to forget that Daly actually began the season at right back before Vera Pauw acquired Allysha Chapman and began to open things up. Horan gets the nod in one of the tighter MVP races so far. As described above, Horan is effective from the deepest parts of midfield to the mouth of the opponent’s goal. And while the Thorns were struggling to find their footing in the first half of the season, it was Horan who would find a goal out of nothing or help cobble together the defensive effort. And as the side has begun to round into form ahead of the playoffs, Horan continues to be the club’s best player. It may be unfair to the Courage, who can legitimately boast at least four MVP candidates, or maybe she is benefiting too much from the Thorns’ early-season struggles. But I can’t get by the notion that Horan is the player most responsible for her team’s success. Erceg was the best defender on the best defense in the league. See above. The most consistently good keeper of 2018 with very few glaring mistakes to speak of. The Dash acquisition didn’t turn 20 until the season was better than half over, but she was able to be an effective cog in a midfield that just kept getting better throughout the season. The combination of a weak draft class — at least for now — and the reduction of teams from 10 to nine made this a tough season for rookies, but Motlhalo was the best of them. This is another difficult category with several strong candidates, but I’ll give the nod to Dames. The only coach to be with the same team since NWSL started redid his team and changed philosophy over the offseason. While the team struggled early, he stuck with the program while figuring out how to integrate Kerr. And when the chance for a bold move presented itself, he went ahead and traded Sofia Huerta to Houston. The other three playoff coaches — and Vera Pauw — all have a legitimate stake to this honor, but I took Dames by the slimmest of margins. — Courage midfielder McCall Zerboni posted to Instagram some details about the injury to her elbow, which is broken in three places and also has ligament and cartilage damage. According to the post, she was scheduled to have surgery Tuesday. Zerboni also thanked her friends and family for helping her with menial tasks like tying her shoes and washing her hair. Her injury really brings to light that you never know when you step on the field what is going to happen, or whether it may be the last time doing it. (Zerboni is expected to make a full recovery and play again.) She has probably fallen down harder than she did a thousand times over the years, but that was the fall that shattered the elbow. 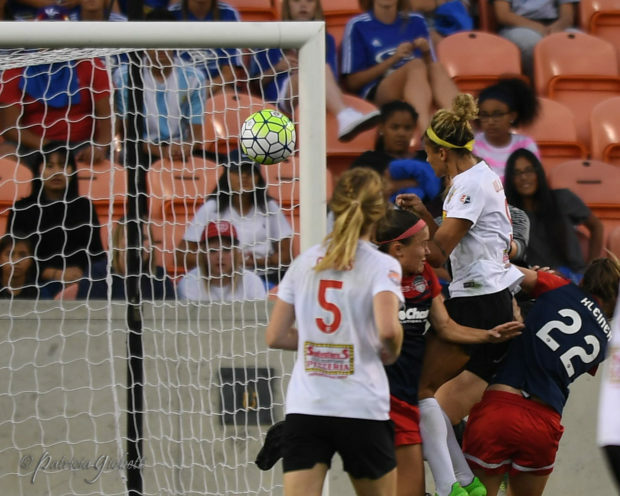 — A phenomenal final weekend of NWSL attendance boosted the league average over 6,000. That is an all-time record, and you never know when the next round number will be the difference in potential sponsors and partners taking notice. 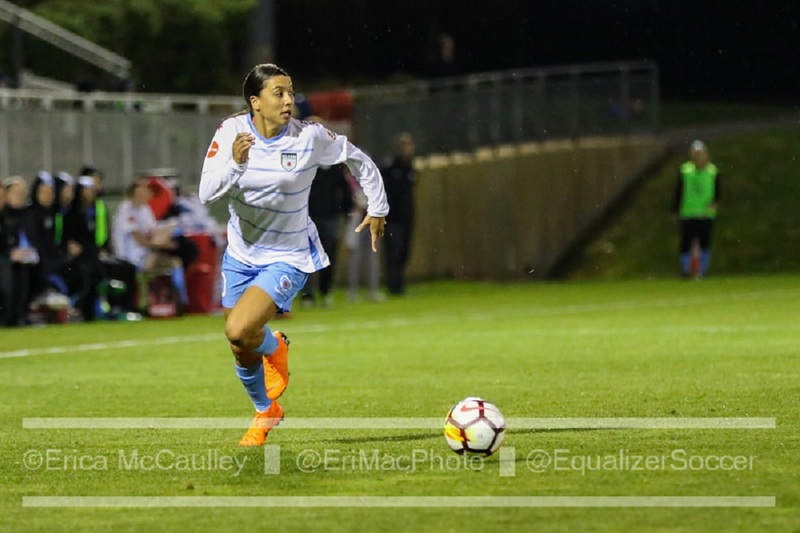 — Sky Blue FC defender Erica Skroski played her best game in two years on Saturday when she spent much of her 90 minutes matched up with Alex Morgan. In postgame comments afterward, she said — again — that her best and preferred position is central defense. Skroski has had a rough go of it the last two years after a promising rookie season that positioned her to be Christie Pearce’s heir apparent in the center of Sky Blue’s defense. Maybe shutting down Morgan will be a springboard to get her game back on track. — The Courage season was remarkable on several fronts. Most remarkable to me was their unwavering commitment to play inspired soccer every single match. But setting the record for most goals scored and least goals conceded in a season is a special combination. 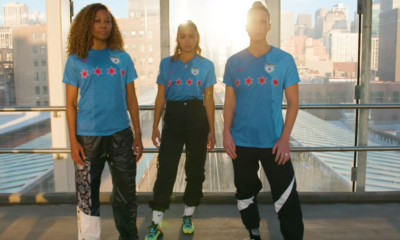 — Many of Sky Blue’s most ardent fans are delaying their season ticket renewals because they have not seen enough signs of change since stories about the club’s inner workings came to the surface over the summer. This is an admirable stance. I just hope it’s not too much for an already wobbling club to handle.